This is the story behind the first AirAsia plane that touched down at klia2. 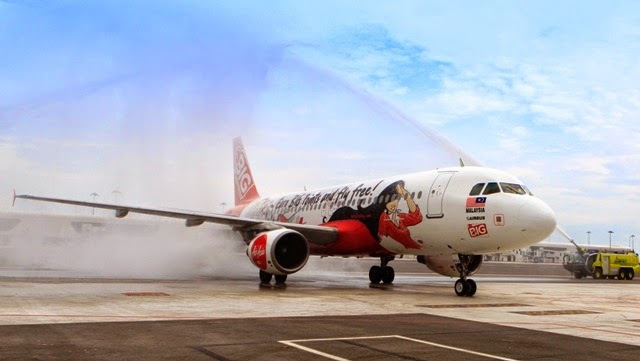 The global AirAsia BIG Loyalty Programme (BIG), takes to the skies today, launching its new livery on the plane that made history by being the first AirAsia plane to land at klia2. Inspired by Asian culture and its significance in the world, the new BIG livery design is part of the BIG Plane Project, which included a social media contest on AirAsia BIG’s Facebook page, with fifty livery designs submitted by fans over ten days. and web comic ‘iamboey’ was commissioned for the caricatures. 6 lucky winners with the best livery designs had their portrait caricatures featured on BIG’s Airbus A320 in AirAsia’s distinctive red and white theme, serving both domestic and regional routes. I see, I got the BIG card but seldom use it.